BeoPlay A2 is Bang & Olufsen’s first ever Bluetooth speaker, featuring ground breaking innovation, jaw dropping sound and design and a functionality that will leave you speechless. 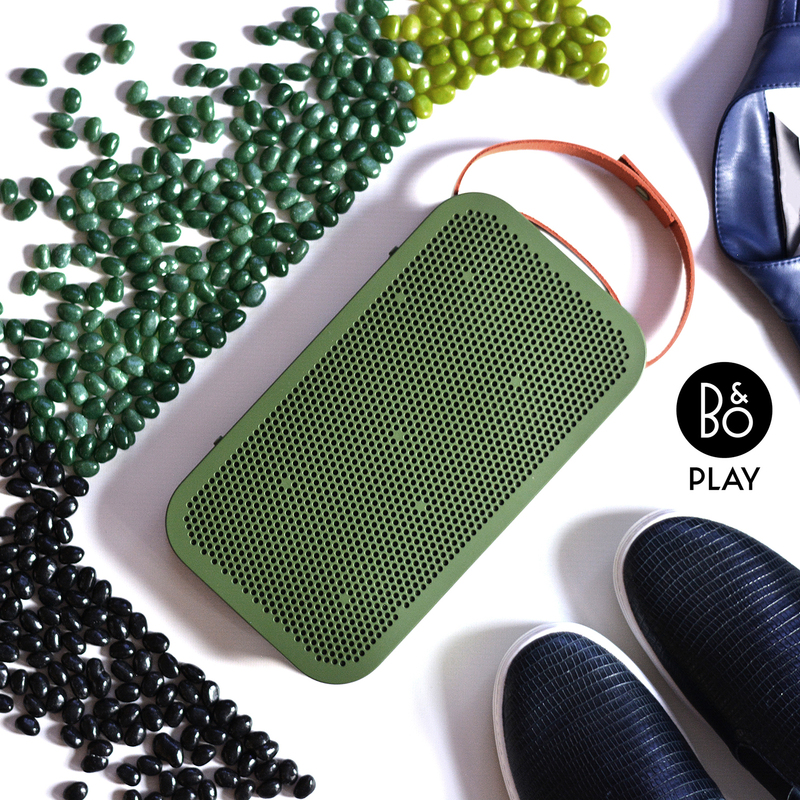 BeoPlay A2 has enough battery power to keep the music and party going for up to 24 hours on a single battery charge – this is a market first, as no other speaker of the same size and category can match the same playing time. This unique flat design Bluetooth speaker is made to move, weighing in at just 1.1kg, you can take it anywhere. It is crafted with premium quality material and built to impress your ears and eyes. After listening to BeoPlay A2 for a week, I can honestly conclude that this is the best portable speaker I have ever listened to. This speaker has a very powerful sound and the clarity of the sound gives the best listening pleasure to your ears. 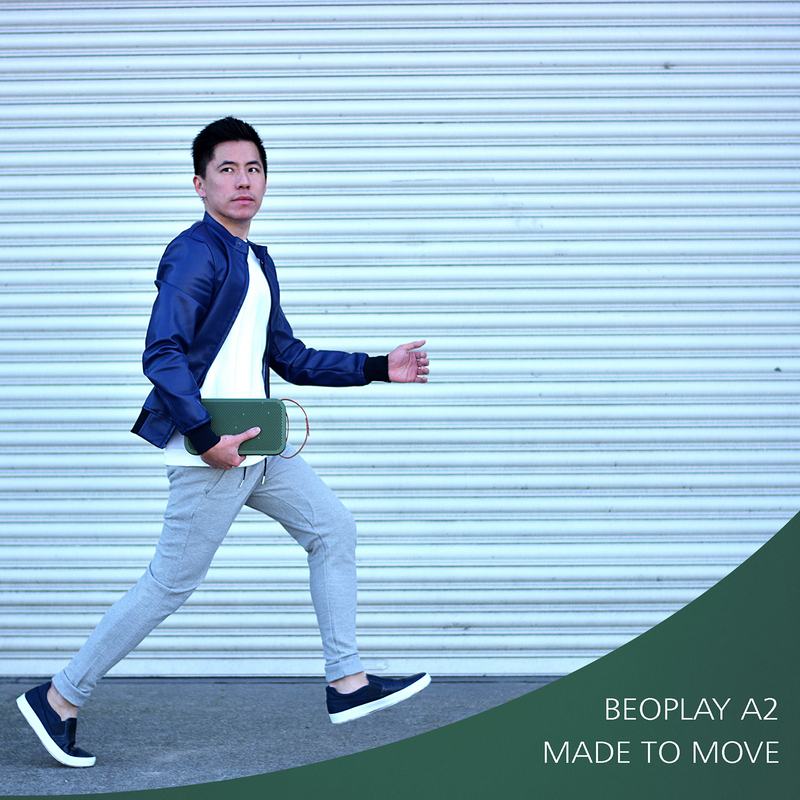 BeoPlay A2 comes in 3 beautiful colours – elegant green, pitch black or cool grey. 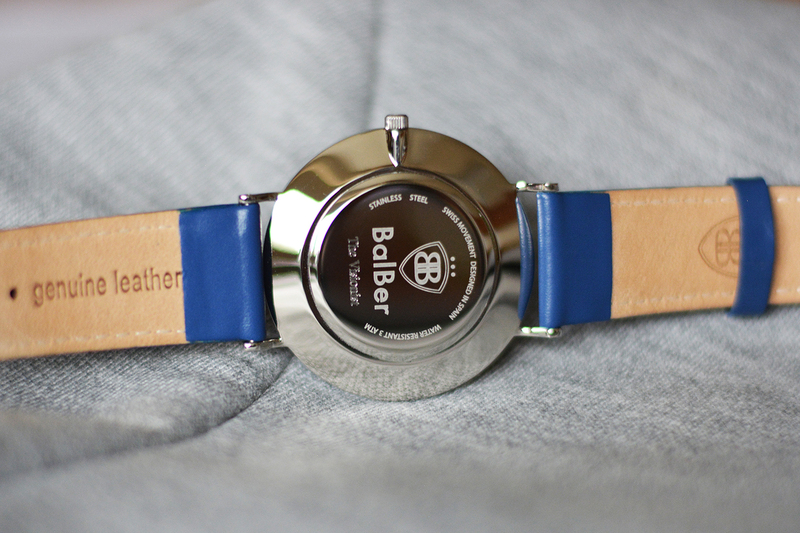 It comes with the short premium full-grain leather strap. 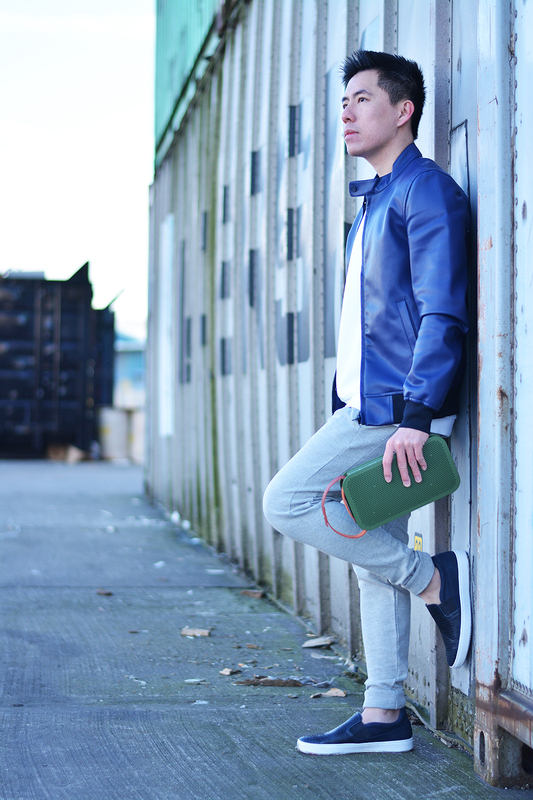 The interchangeable long strap can be a good option for you if you wish to sling it across your shoulder. In addition, I purchased this BeoPlay H6 last year and it is also one of the best pair of over-ear headphones I have ever owned. The design is sleek and minimal. This pair of headphones gives you style, comfort and uniqueness. 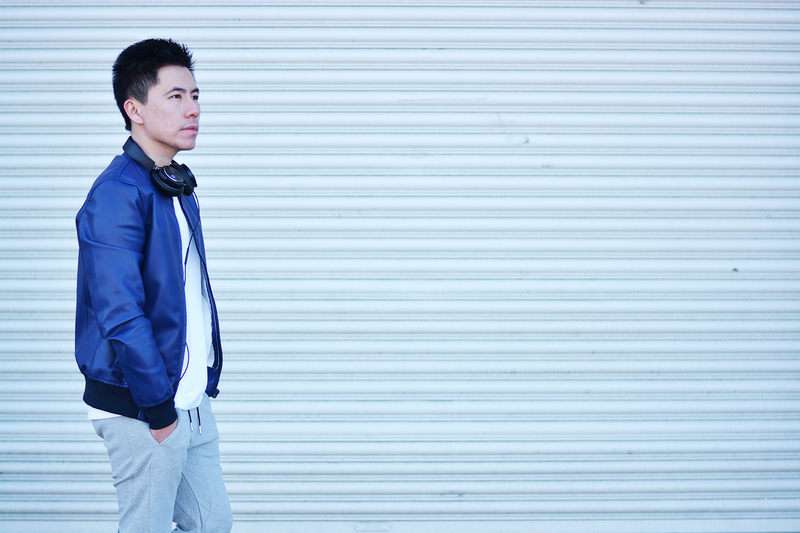 Find out more about this pair of premium headphones here. It is definitely built to be social with the capability of remembering up to 8 users. Now you and your friends can take turn to be the DJ of the party! Check out this fastest selling Bang & Olufsen product in history from their website here! Thank you Bang & Olufsen! 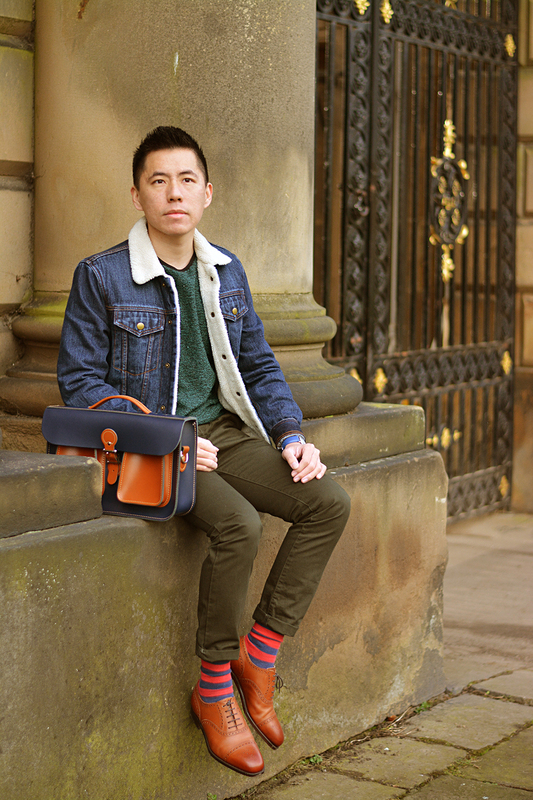 The Leather Satchel Co. are a group of British Master Craftsmen that create satchels based on the traditional style of Oxford and Cambridge schools as well as other traditional accessories. 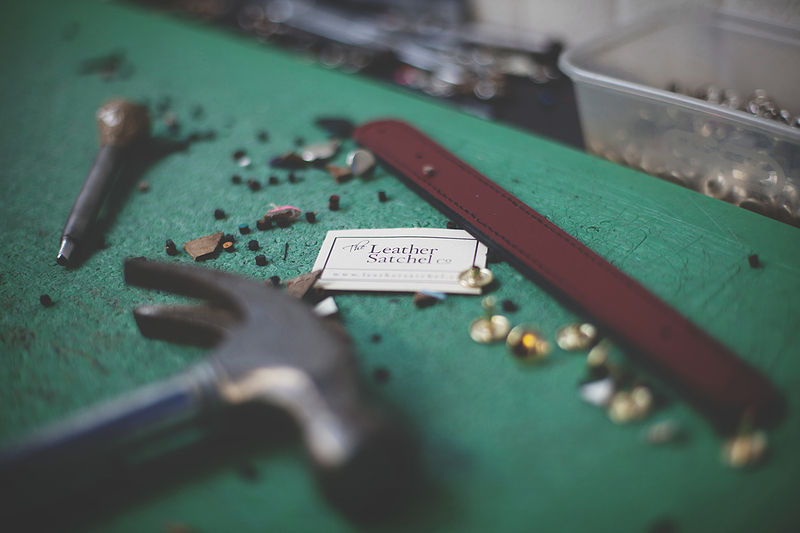 All products from The Leather Satchel Co. are handmade in England. With the flexibility in customizing your own bag, you will be able to get your ideal bag according to your own preference. 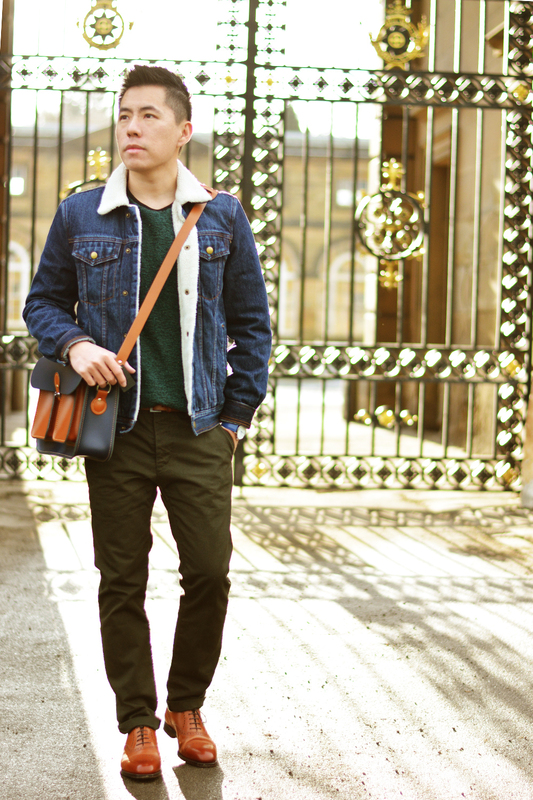 HEAD TO TOE: Topman Denim Jacket, Topman Jumper, Topman Dark Green Chino, Balber Time Watch, Grenson Mathew, The Leather Satchel Co. Loch Blue and London Tan Double Pocket 14 inch Leather Satchel. 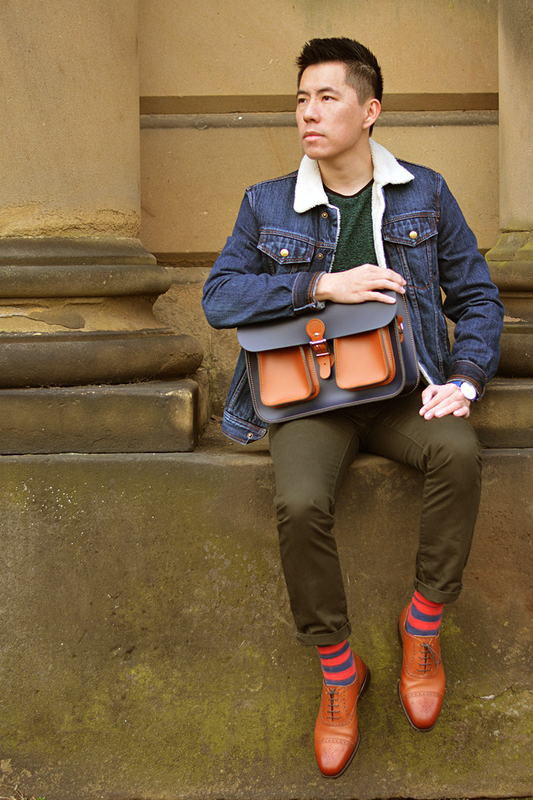 This double pocket leather satchel is practical and yet stylish. 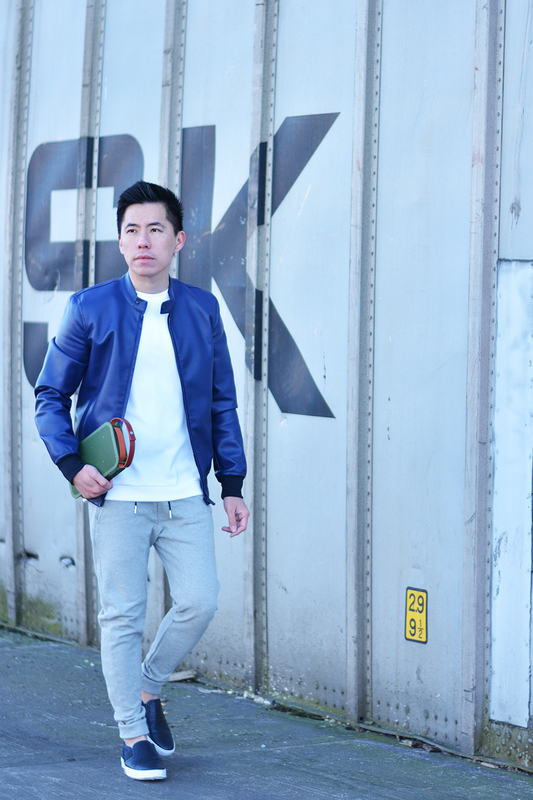 It goes with street style attire as well as dapper outfit. Please visit The Leather Satchel Co. for more beautifully handmade satchels, bags and accessories and follow them on social media for more updates! 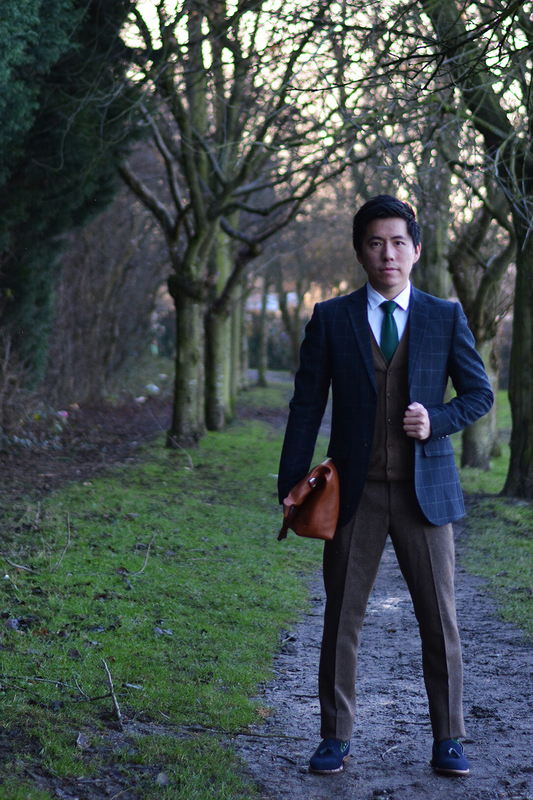 Facebook: The Leather Satchel Co.
Twitter: The Leather Satchel Co.
Instagram: The Leather Satchel Co.
Windowpane check has a bold statement that signifies a man who does his own thing with his personal style. 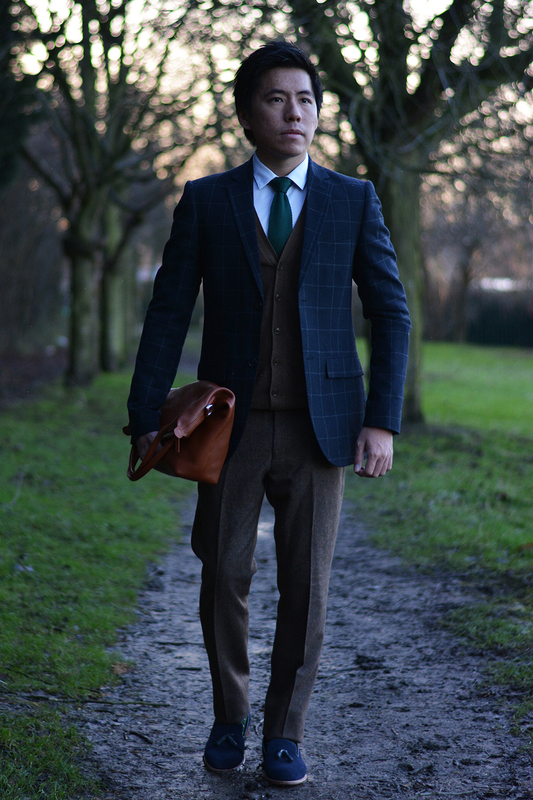 A windowpane check blazer will go with any plain trousers which maintains its practicality as well as its maverick style. 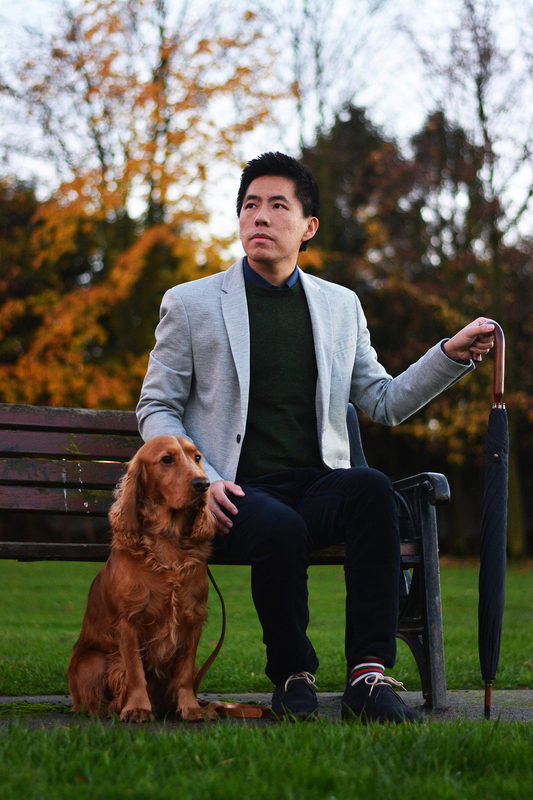 HEAD TO TOE: Topman Navy Windowpane Blazer, Topman White Shirt, Green Knitted Tie, ASOS Brown Cardigan, WANT Les Essentiels De La Vie Tote, Topman Brown Trousers, Green Polka Dots Socks, Grenson Navy Marcel. 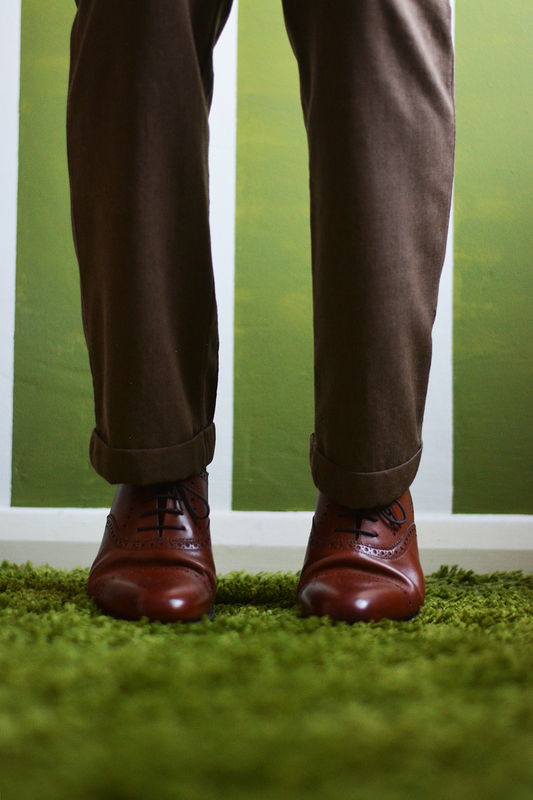 Topman Brown Trousers use a nice textile that gives you a more classic edge for winter formal wear. 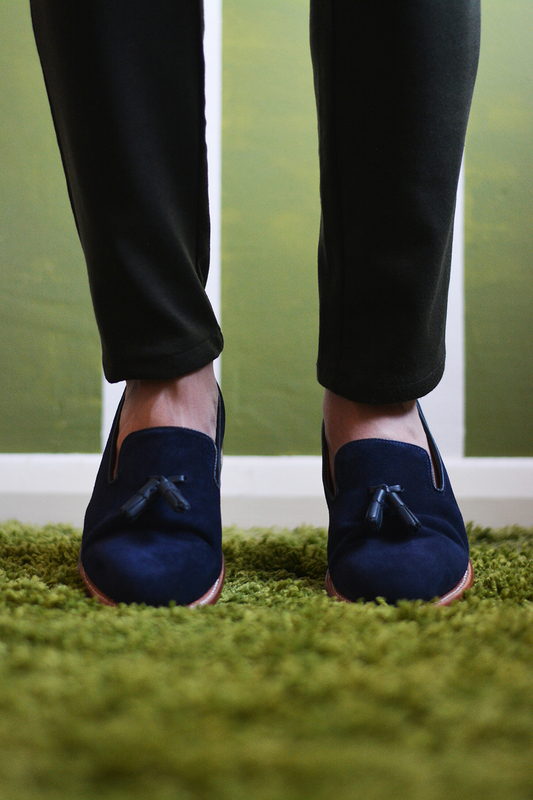 Suede shoes have always been my choice for any season in spite of the weather. 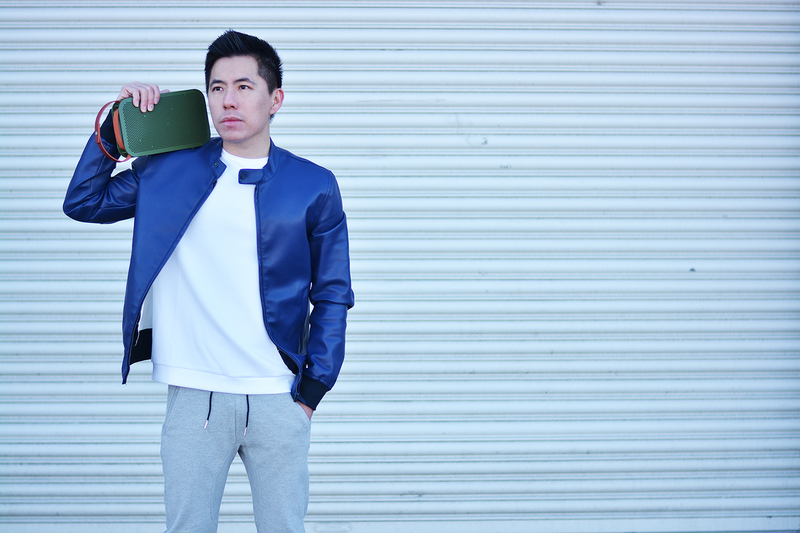 Feel free to visit Want Les Essentiels De La Vie for their beautiful leather goods if you have a minimal vision like they do. The first day of snow in 2014 has finally hit Yorkshire. On last Friday, it turned the street to a little Winter Wonderland. 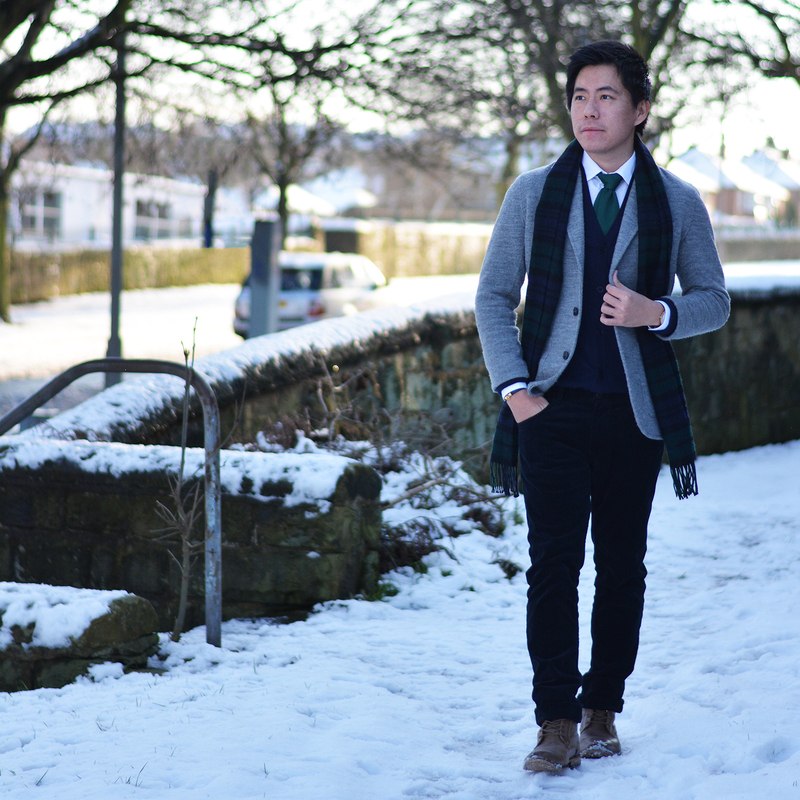 Winter is the best season for layering in fashion. You can have fun with patterns and textures of fabrics. 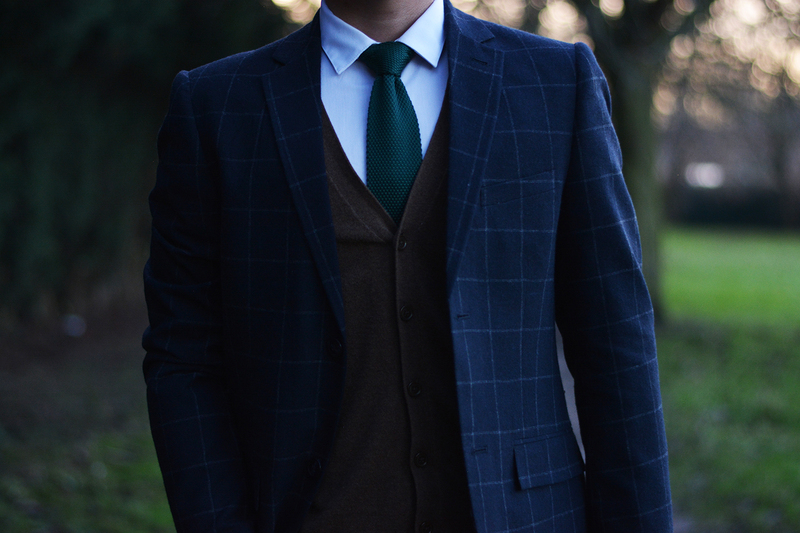 Wool always give you a nice texture of any garment. 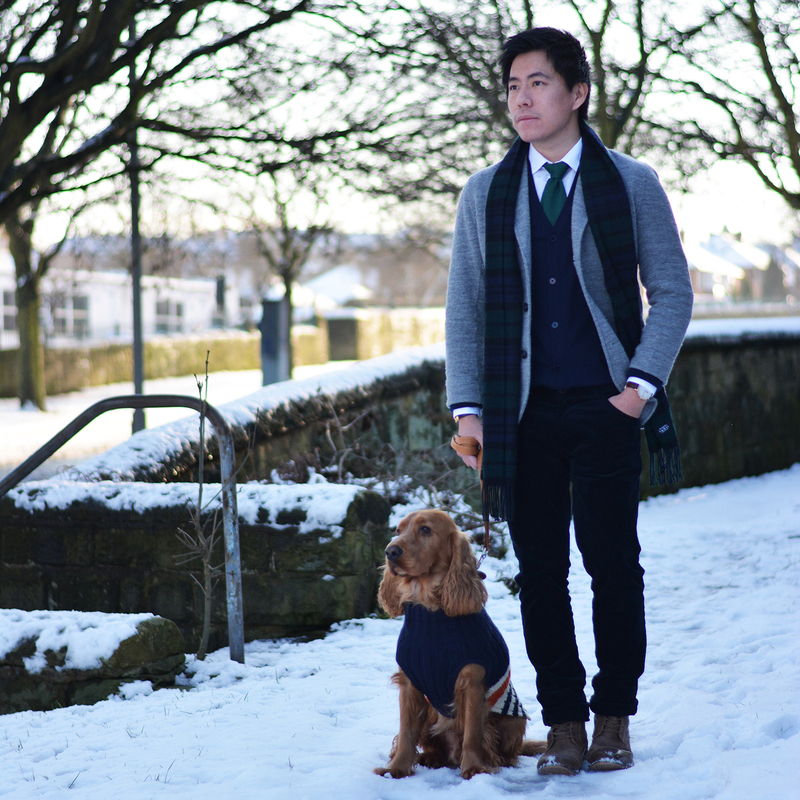 Even Woodie needed a winter cardigan to keep himself warm! 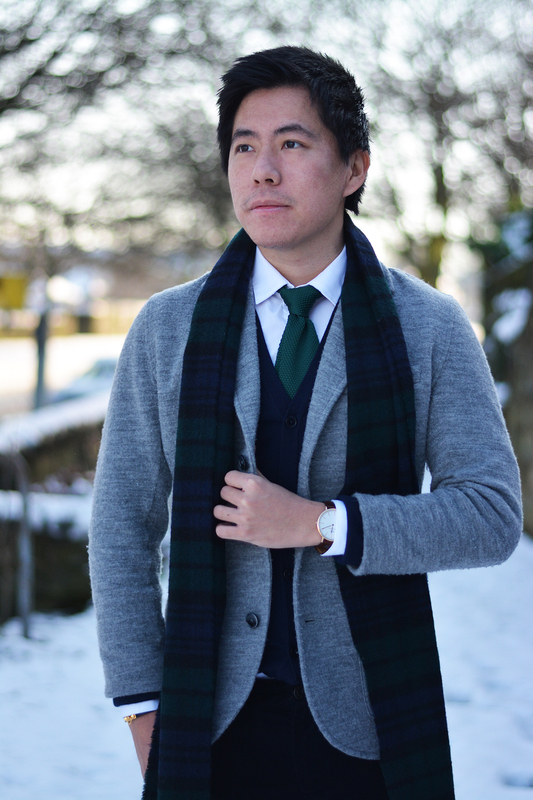 HEAD TO TOE: Reiss Grey Wool Jacket, Reiss Navy Wool Cardigan, Forest Green Knitted Tie, Topman White Slim Fit Shirt, Scottish Made Wool Scarf, Hermes Rivale Bracelet, Daniel Wellington Watch, Zara Navy Corduroy Trousers, Topman Leather Boots. Wish all of my readers had a wonderful Christmas! 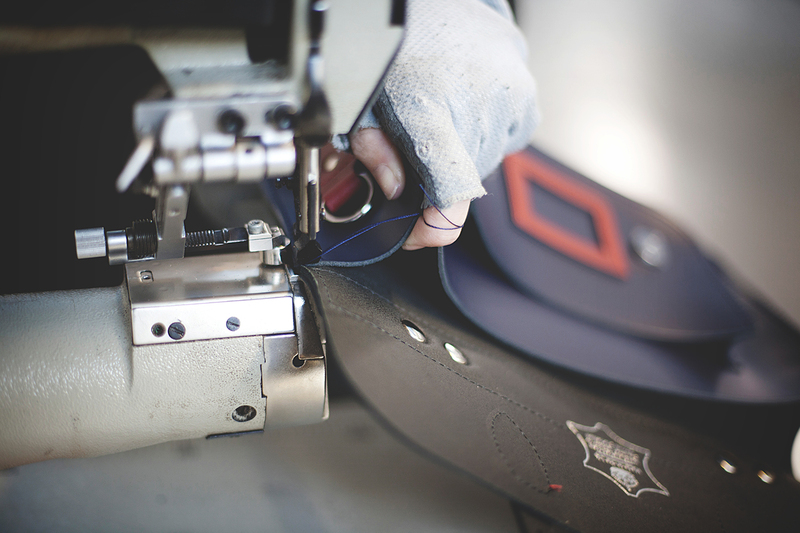 Grenson shoes are made in England with the top quality craftsmanship. 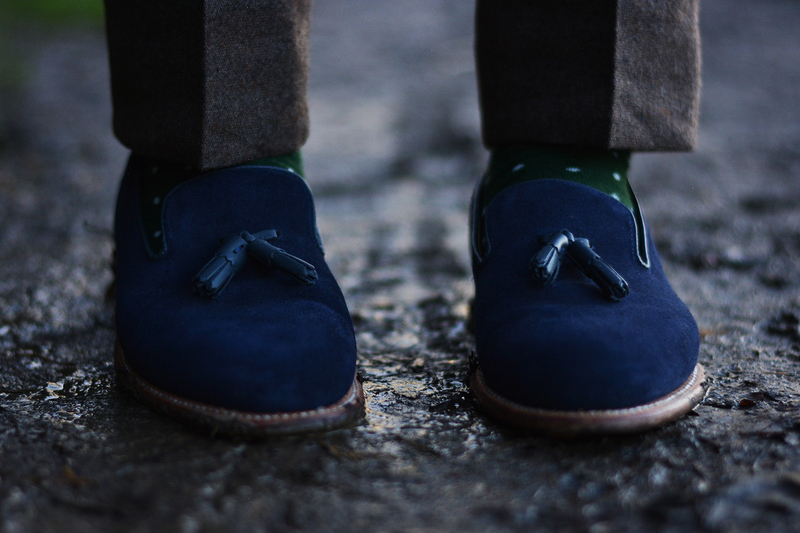 It takes about 3 weeks for the entire production of each pair of these beautiful shoes. 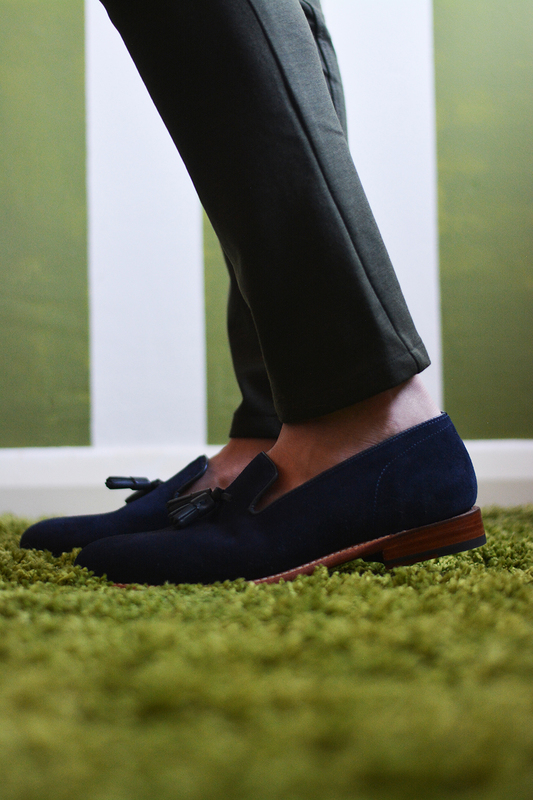 These shoes are well made, durable and they can be re-soled many times over making them a wonderful investment. 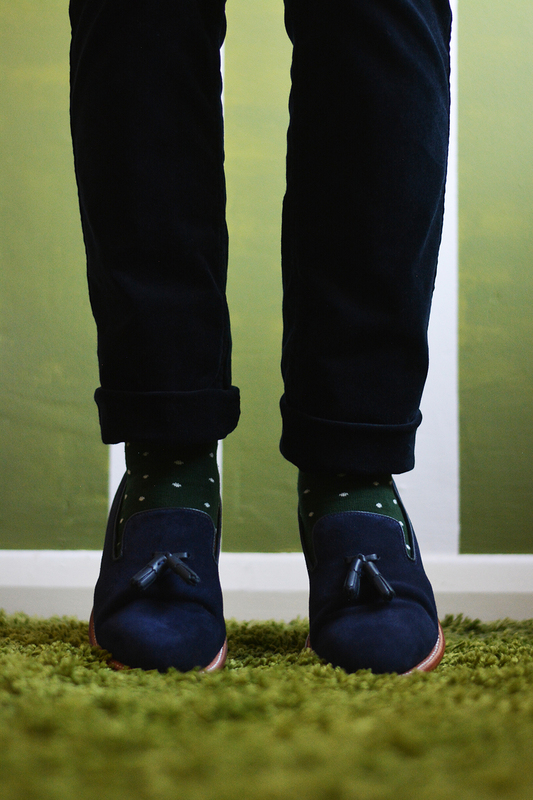 Grenson Marcel is suitable to go with skinny cotton trousers to give it a casual chic look. It is clean and simple. 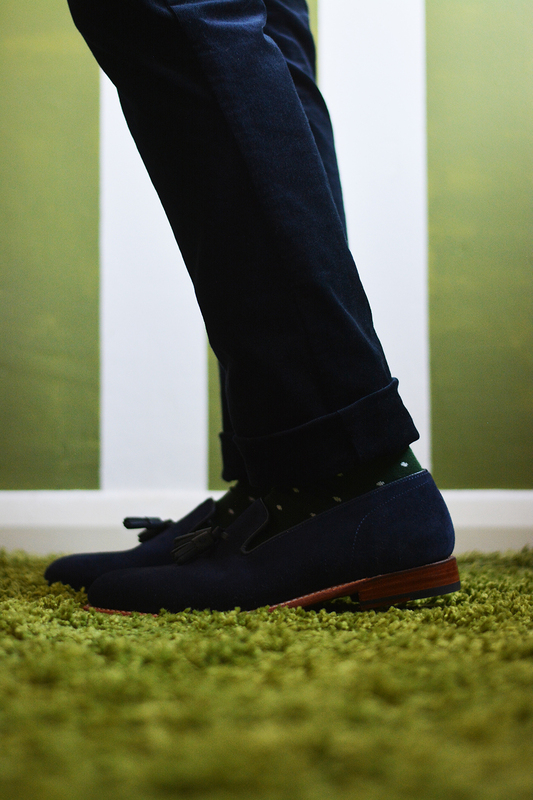 Alternatively, it will go well with the classic corduroy trousers with a pair of polka dot socks. 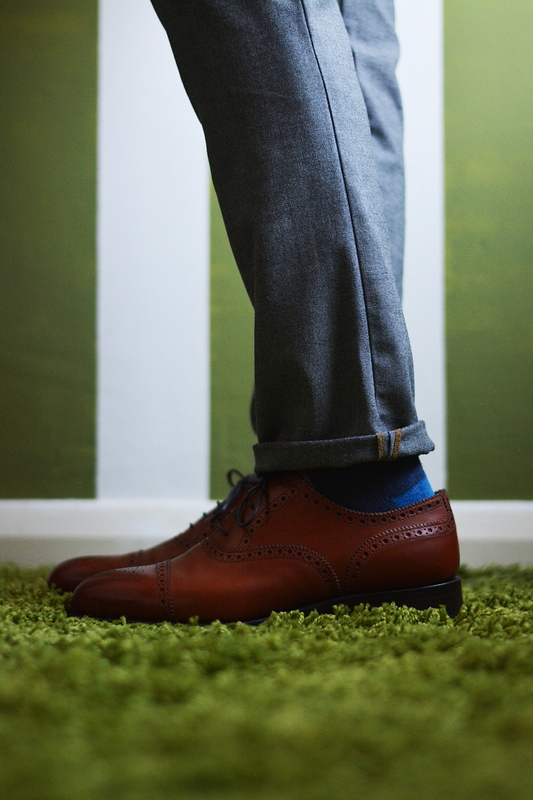 Grenson Semi Brogue was a classic. The newer version is now called Mathew. 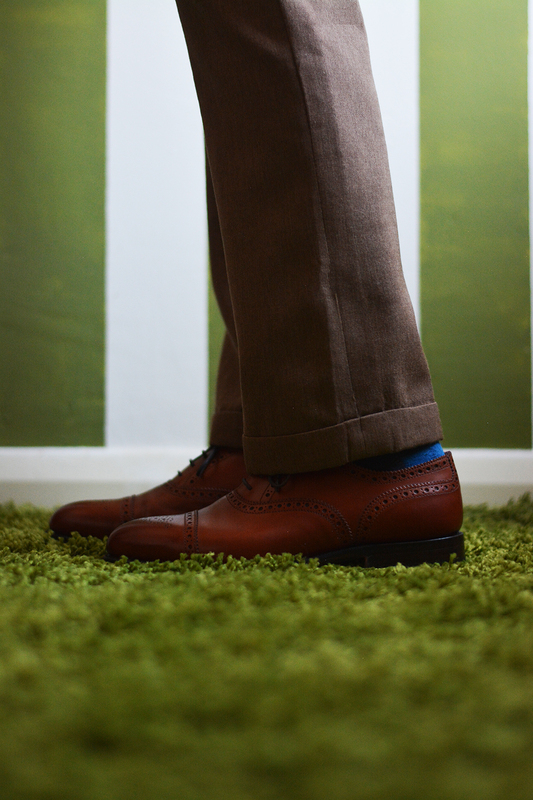 These pair of perfect made shoes need to go with made to measure trousers as perfect match. 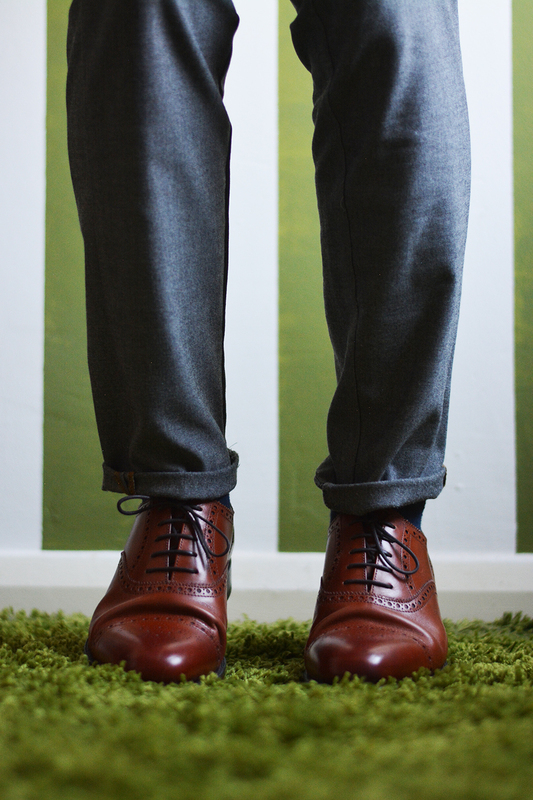 A pair of grey cotton trousers will loosen up the formality of the shoes and enhance the sartorialism. 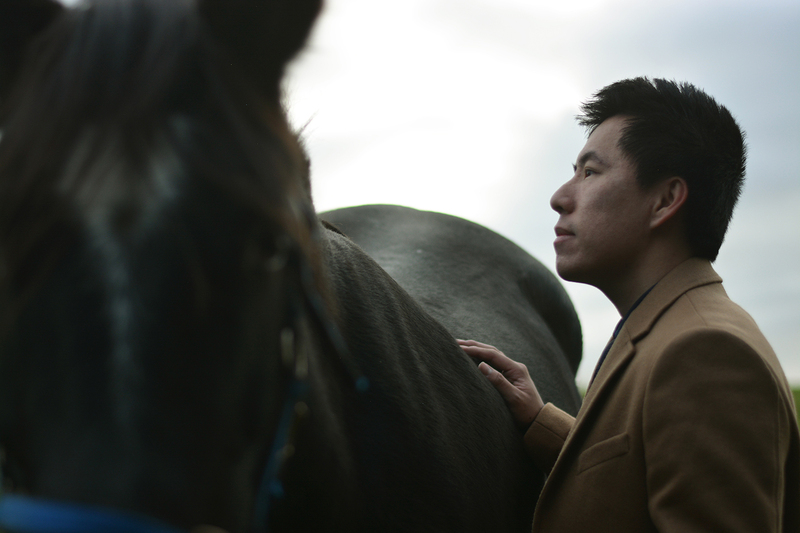 Why do you need Ferrari when you can ride a horse? 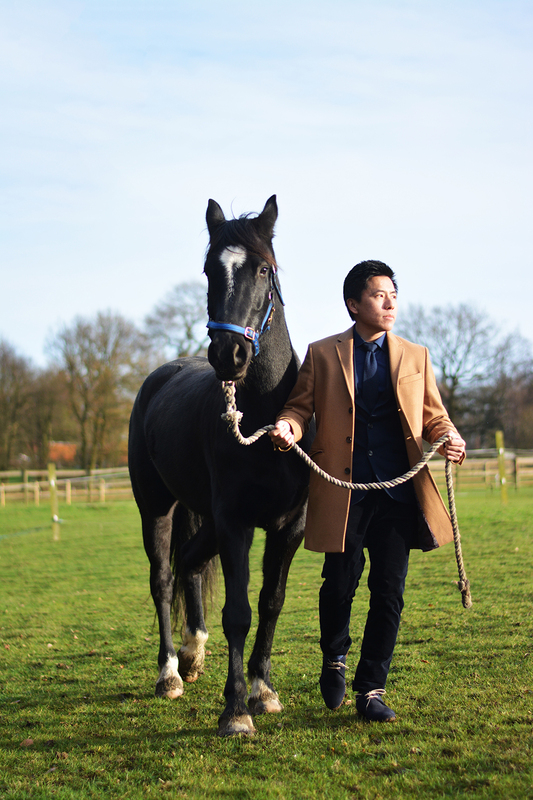 HEAD TO TOE: Ben Sherman Coat, Zara Basic Blazer, Zara Navy Shirt, French Connection Knitted Tie, Zara Corduroy Trousers, Reiss Shoes, Howick Blue Socks. 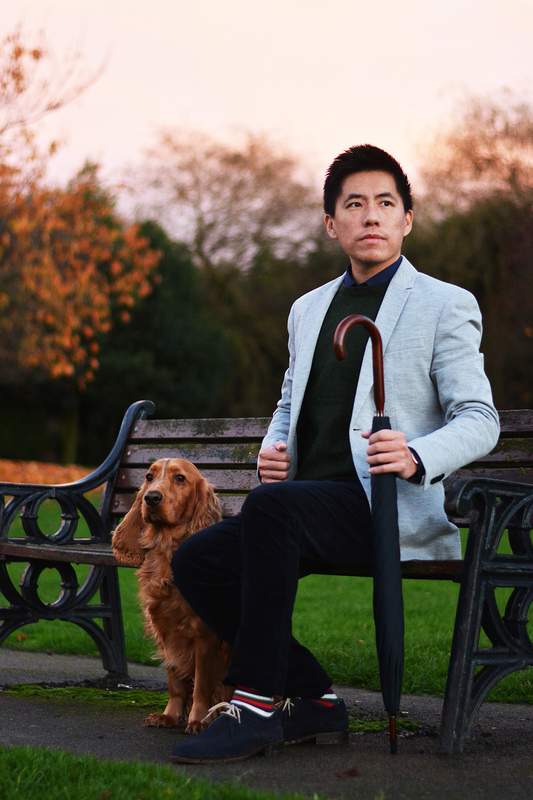 A camel coat is classic piece for any man’s wardrobe. 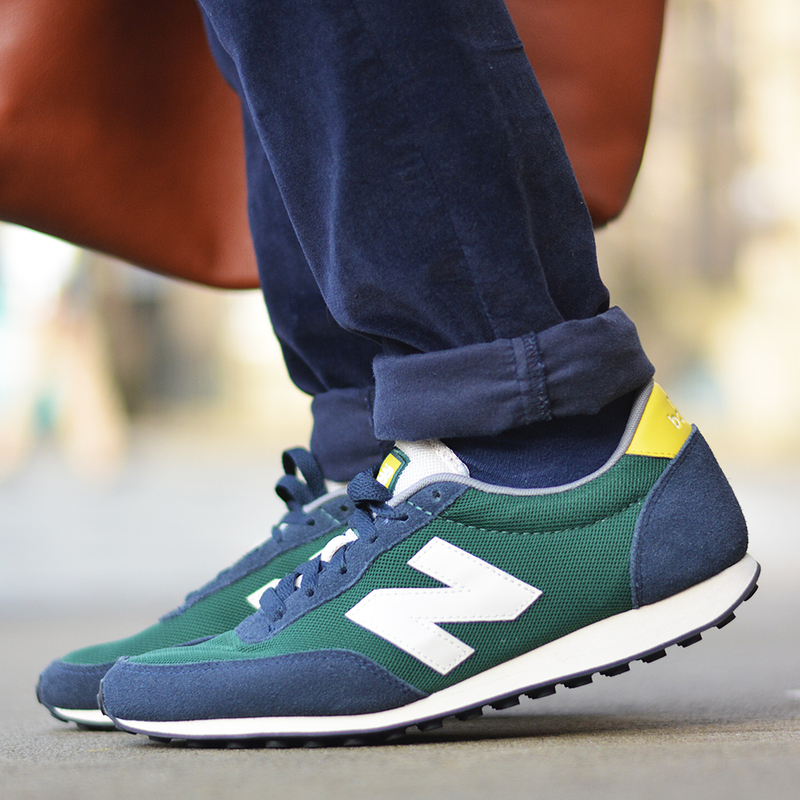 It is timeless and always look suave. 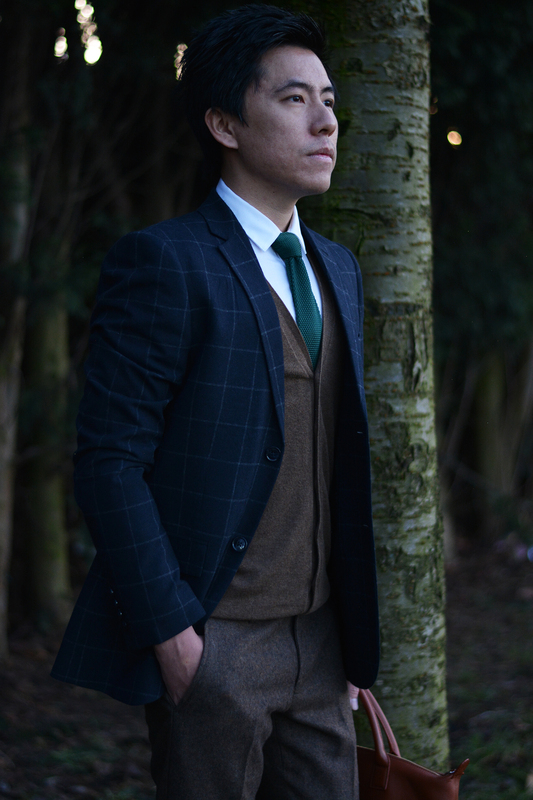 For men who aren’t sure how to match the colours of their clothing, they can always try to go with one colour tone but with different texture of materials. 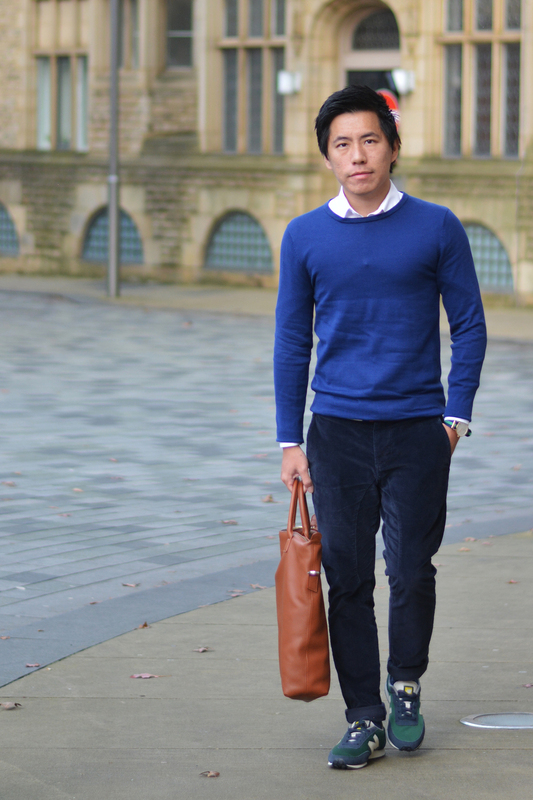 I have worn all garments in blue for the entire look except my coat. 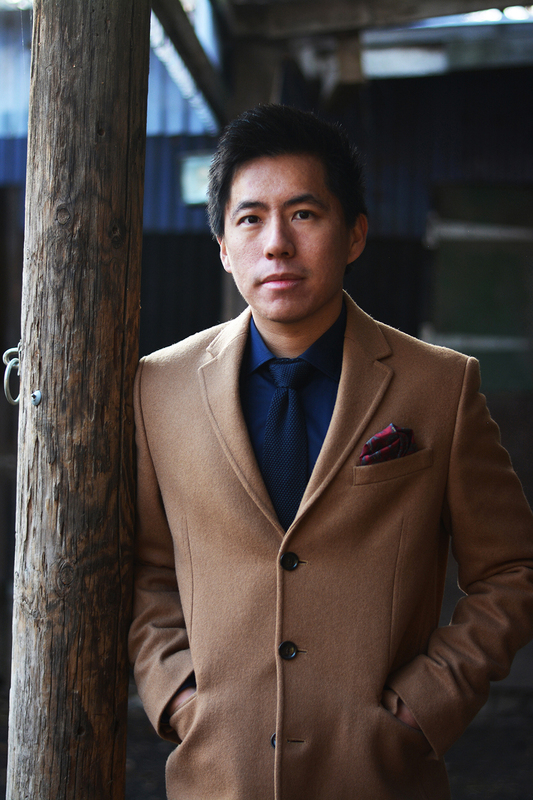 Nevertheless, I wore the French Connection knitted tie to give my look with a hint of texture and retained the minimalism. 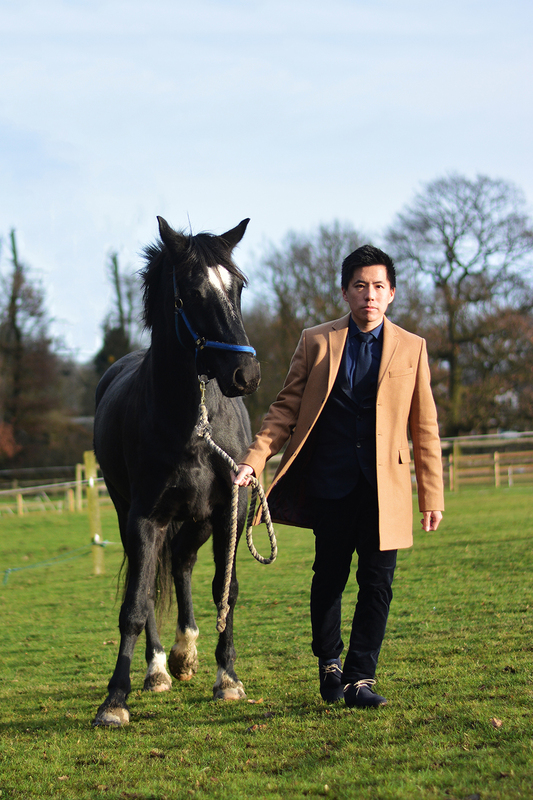 Charlie is my friend’s horse – He was amiable and very affectionate. Are you looking for the perfect gift for someone special this Christmas? 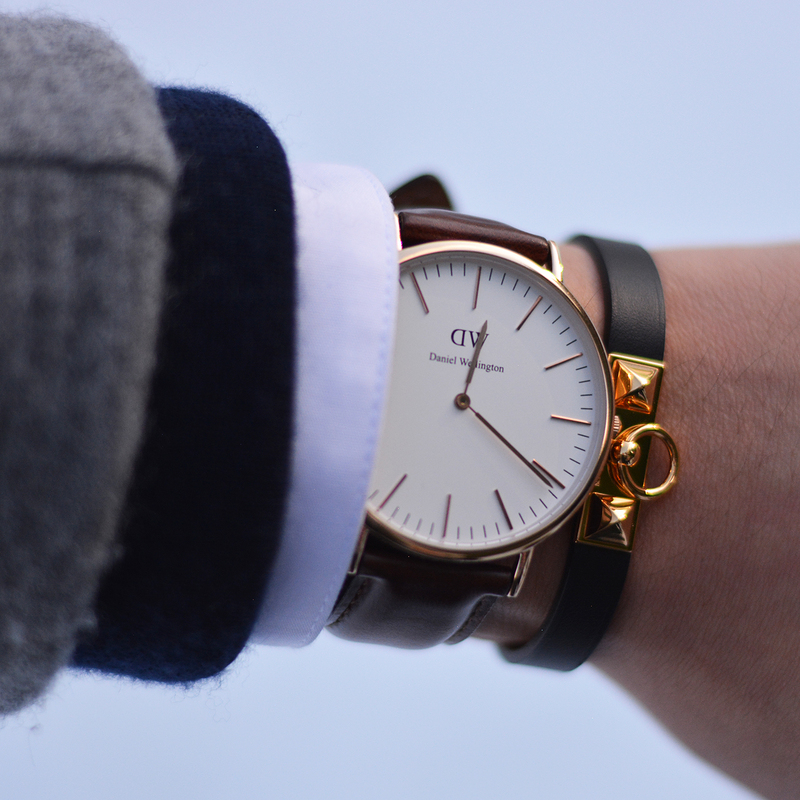 If you are looking for something classic, timeless and stylish, Daniel Wellington’s watches will be the best option! 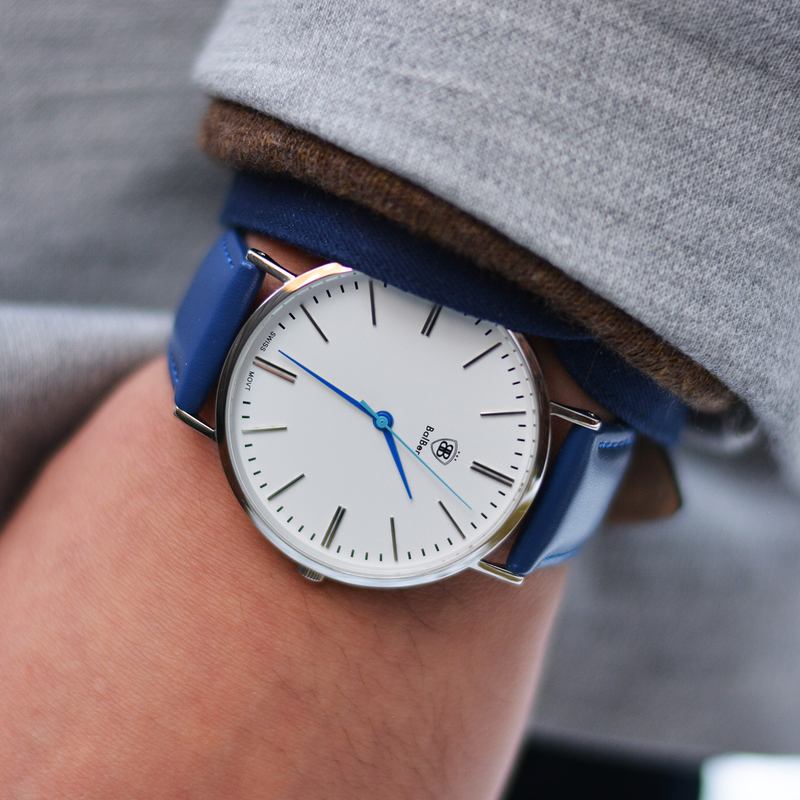 It is definitely the affordable luxury watches that everyone should own in my opinion with their effortless design. 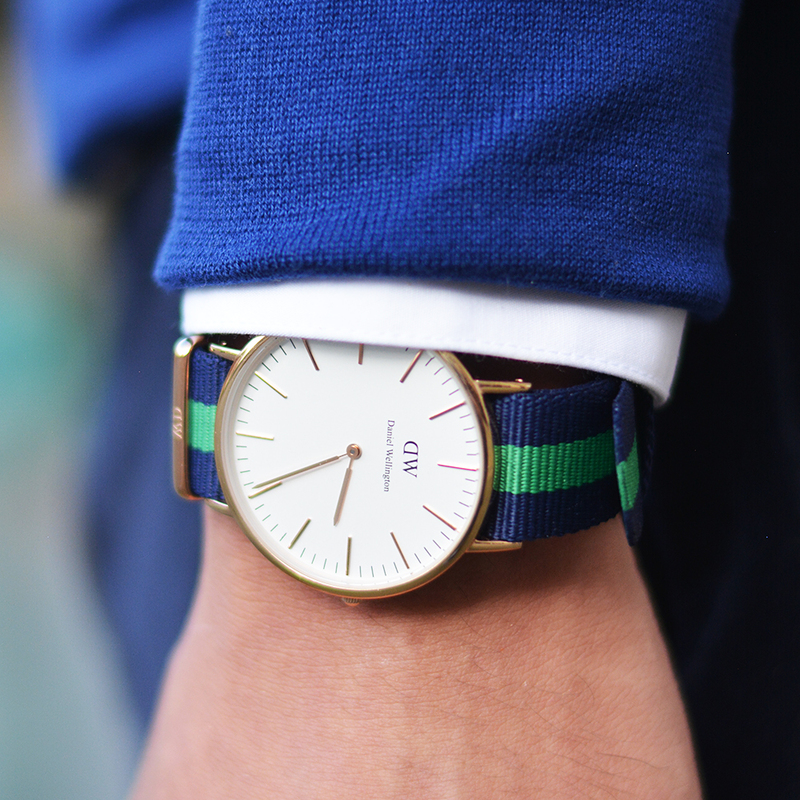 The Visionist X Daniel Wellington is offering you 15% discount and free shipping worldwide this holiday until 31st December 2014! Woodie is my best friend. He is loyal and very friendly. Autumn’s rainy season is nearly gone and soon the Winter’s breeze will be approaching here. 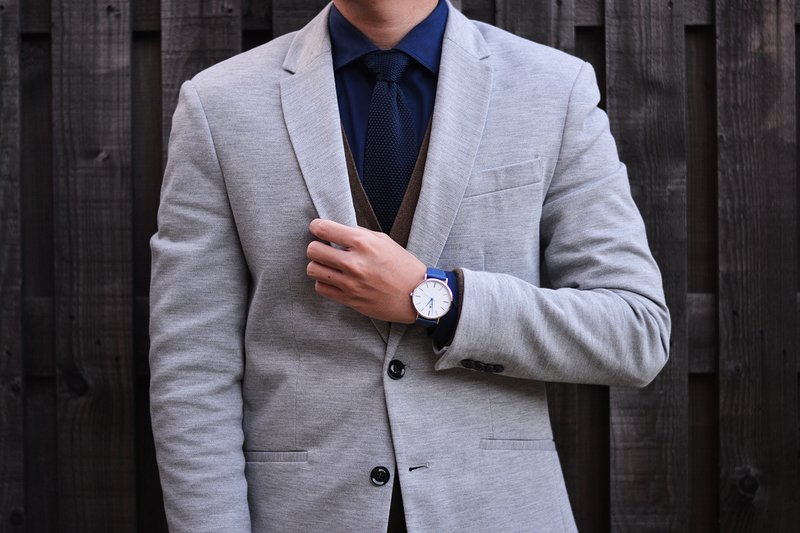 Grey blazer is practical and yet dapper. 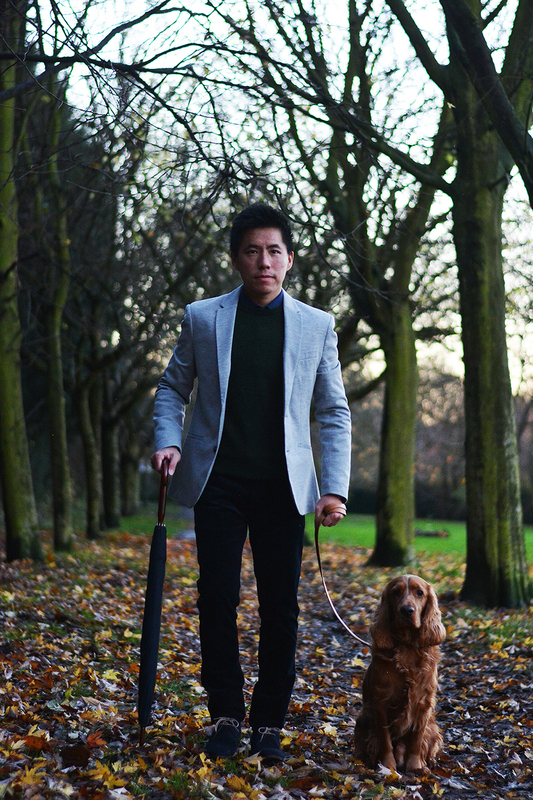 It goes with any colour underneath the blazer. Hope you are inspired and feel free to comment and share it with your friends 🙂 Thank you! Minimalists always give an impression to the public that they are dull in colour choices. This is definitely not the case for me. I believe in minimalism, but I have faith in colours too. 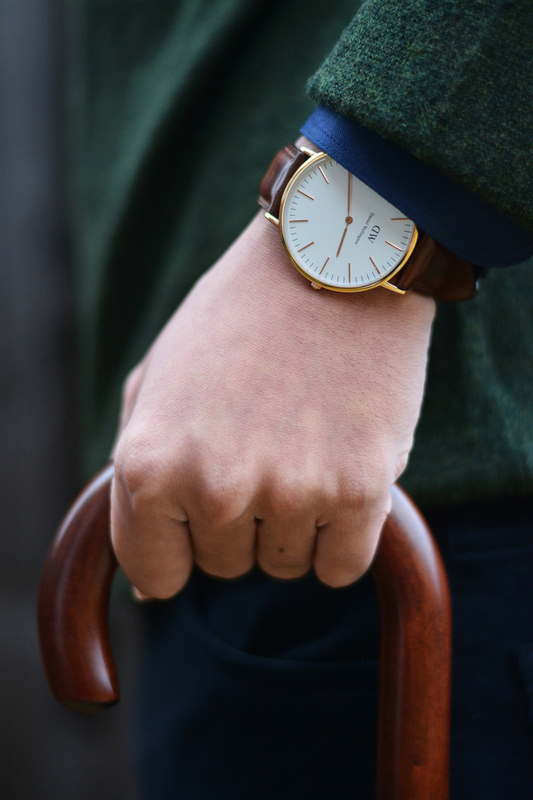 Daniel Wellington is definitely an affordable classic timepiece for any gentleman. Green is definitely the new blue at presence!